Why not just buy canned pumpkin? The taste! The taste is so much better than canned and it is usually a better price as well. I was able to get medium to large pumpkins at $1 each after Halloween. Half priced candy isn’t the only good deal that you get November 1st. It is also more convenient than canned believe it or not. 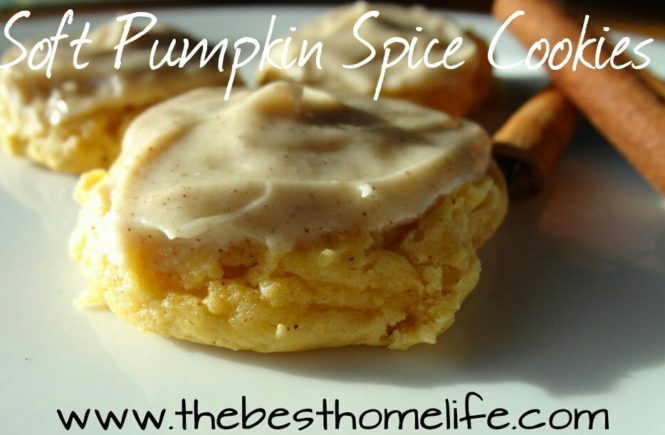 Usually when you buy a can of pumpkin, there is usually too much or too little of pumpkin for your recipes. By freezing the pumpkin yourself, you can customize the portions to the amount you use in your own recipes. 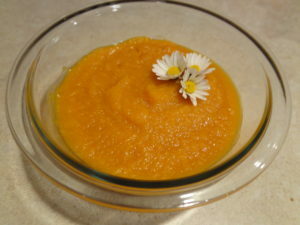 If your pumpkin is already cooked and pureed, the process of freezing is simple, fast, and easy. 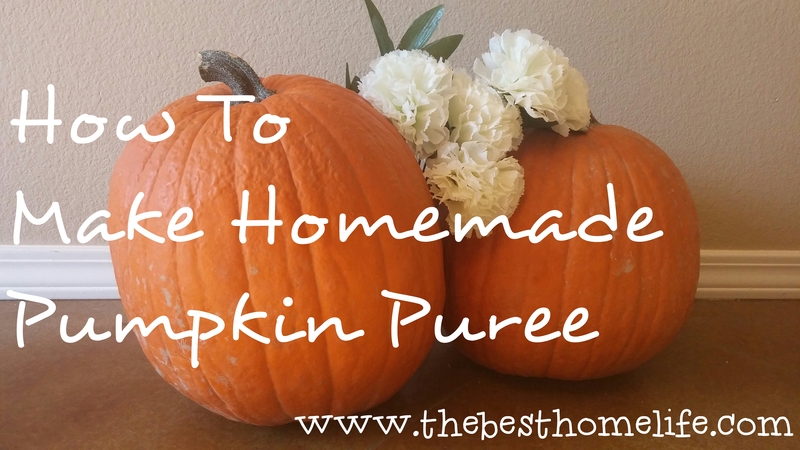 Read, How To Make Homemade Pumpkin Puree if you would like an easy way to cook your pumpkin for freezing. 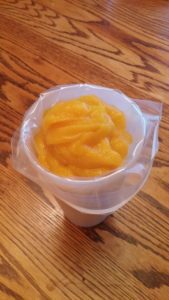 Freezing pumpkin rather than canning it, is faster, less cleaning, and doesn’t require a lot of tools and supplies. 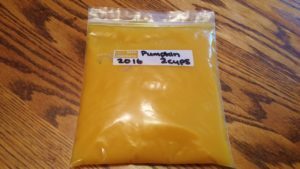 Write on your quart bags the date/year, amount of pumpkin, and that it contains pumpkin. Writing on unfilled bags is a lot easier to do than writing on jiggly bags after filling. Use a larger drinking cup to use as a holder for your bag as you fill it with the puree. If you fold over the edges, it is less of a mess when closing the bags. This little trick has saved me so many messes while freezing purees and liquids. After filling and closing all your bags. Lay flat in your freezer. After the are completely frozen, you can stand them up and place them however you like to make more room in your freezer. If you need it now, place one bag on a plate, and flip it over every two minutes until defrosted/thawed. If you need it in about half an hour or so, place in a bowl of bowling water. 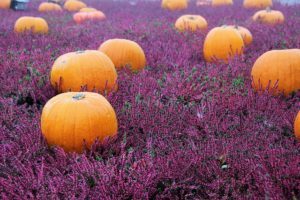 You may have to change out the water, depending on how much pumpkin you have in your bag. 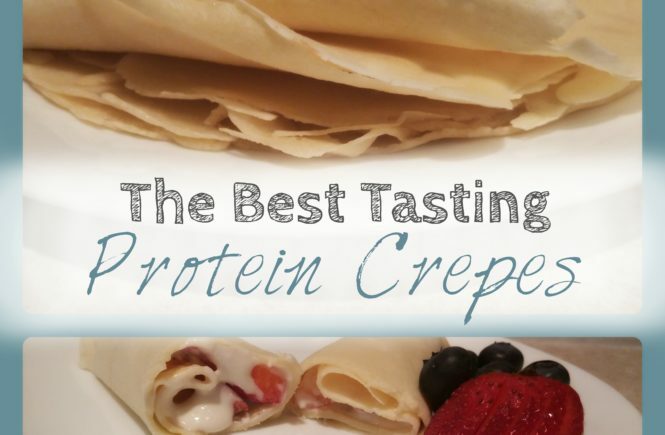 If you need it tomorrow, place on a plate in the refrigerator. 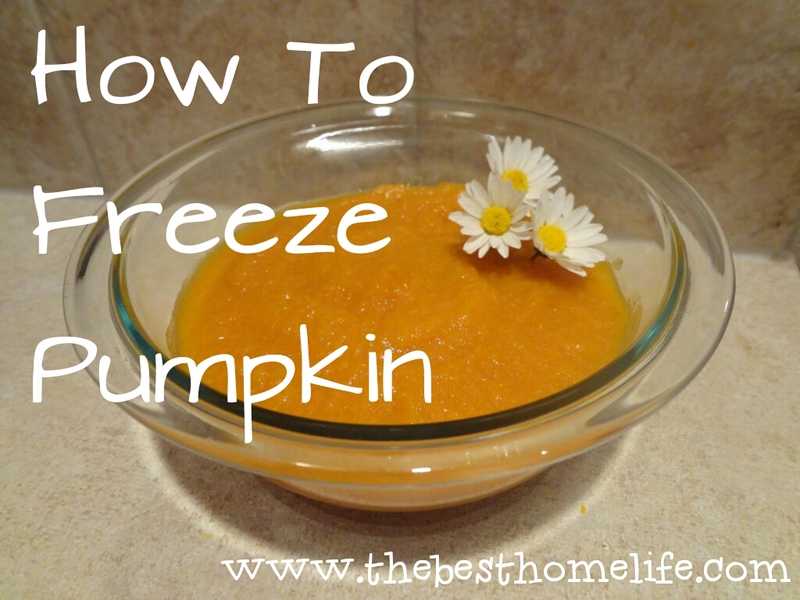 Note To Mommies: Freezing pumpkin in ice cube trays is an easy way to make ahead some baby food for your little one. All you have to do is take a cube out and warm it up for your baby. Michelle Sevy, author of The Best Home Life, is an affiliate for amazon.com and ShareASale, by linking and advertising to their website or merchant website. I may receive compensation when links are clicked and bought through.